Webmasters, if you are interested in advertising on Bloglisting.net, there may be several opportunies available to you. Limited to ten sitewide partner links. These must be either blogs, directories, or sites bloggers can find practical and they appear in the sidebar. All pages display the sidebar except the link submit page. These links must be blogs, directory or blogging related, and are $75 per year. To submit your site for consideration for a partner link, complete the Paypal form below. You will soon be contacted regarding your desired anchor text for the url. Should the url submitted fail acceptance from an editorial review, your payment will be immediately refunded. Please do not cancel your subscription until you are ready for your link to be removed. Directory owners can have their directory endorsed by BlogListing.net. Endorsed directories have their directory listed, with descriptions on the /partners.php page. There is a sitewide link to this page, and once a blog is submitted they are given the option to go to this page. A link to the partners page is also included in an email to the link owner once a link is submitted. This listing is $12/year. To add your directory, complete the Paypal form below. You will soon receive an email regarding the description of your directory prior to being added to the list. 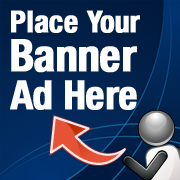 We can now offer banner or text advertising in locations throughout the website. Prices vary depending on location and ad size/type. If you are interested in advertising on Bloglisting.net, please Contact Us. If interested in other forms of advertising with us, or have questions please Contact Us for more information.